Jakarta, January 10, 2018 - Archipelago International, Indonesia's largest hotel management company, today announced the opening of favehotel Madiun in East Java to accommodate growing traveler demands. Archipelago International has continually been one step ahead of trending markets and with their introduction into the region 3 years ago, Aston Madiun has become another success story for the management company. "As business continues to surge through Surabaya, the need for better hotel accommodations continues to grow. The Archipelago International development team predicts trending markets to better serve community growth and increase the success rate for our hotel owners," said Winston Hanes, Director of Operations at Archipelago International. 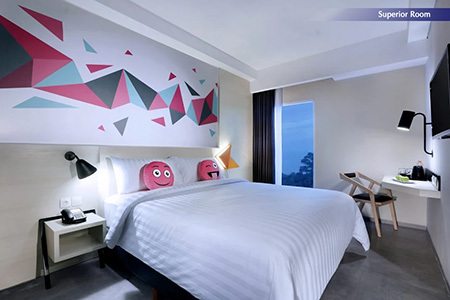 Both Aston and favehotel Madiun are strategically located off the main vein to Surabaya offering business professionals and travelers quality and comfort at an affordable price. 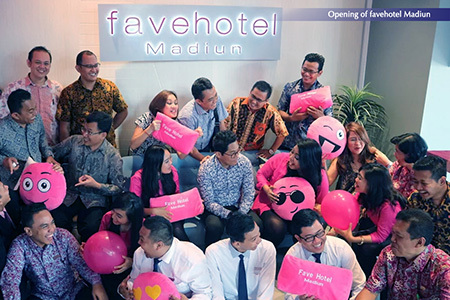 The new favehotel Madiun provides 60 Superior rooms offering travelers a fun, fresh, friendly concept. Designed with favehotel’s signature colors and modern, trendy rooms, guests are gifted with the high-speed internet - fast enough for any digital nomad, private bathrooms, slippers, free toiletries, and amenities that include flat-screen, cable, tea & coffee maker and customer service with a smile. Stay connected and receive special rates all year long with the Archipelago Membership mobile app. For more information, visit our website at www.ArchipelagoInternational.com. Currently, the fastest growing hotel management firm, Archipelago International holds Indonesia's largest portfolio of over 130 hotels (17,000 rooms) and 100 new properties under development across Indonesia, the Caribbean, Philippines, and Malaysia. Brands include Nomad Hostels, favehotel, Hotel NEO, Quest Hotel, HARPER, ASTON, The Alana and Kamuela. Hotels range from ultra-luxurious villas to select-service and from economy-class hotels to serviced-apartment residences.